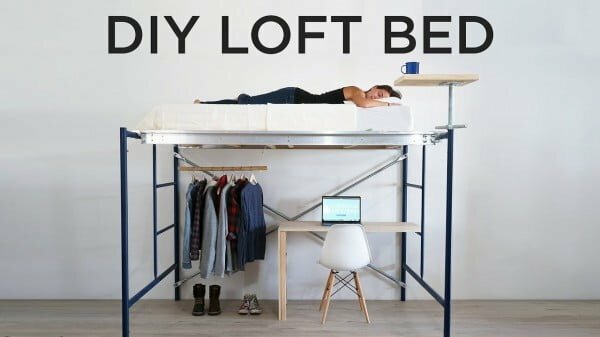 Solve all your space problems with bedding by building a DIY loft bed. Here are 33 easy ideas with plans to follow. 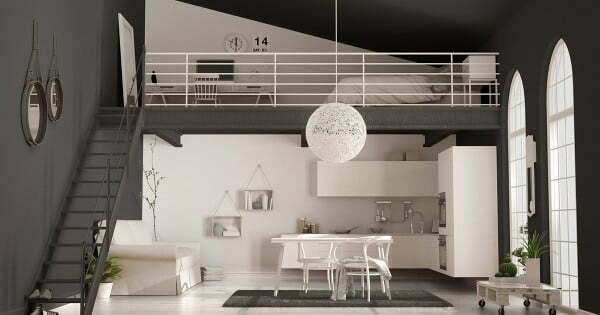 A lofted bed is both, functional and stylish. 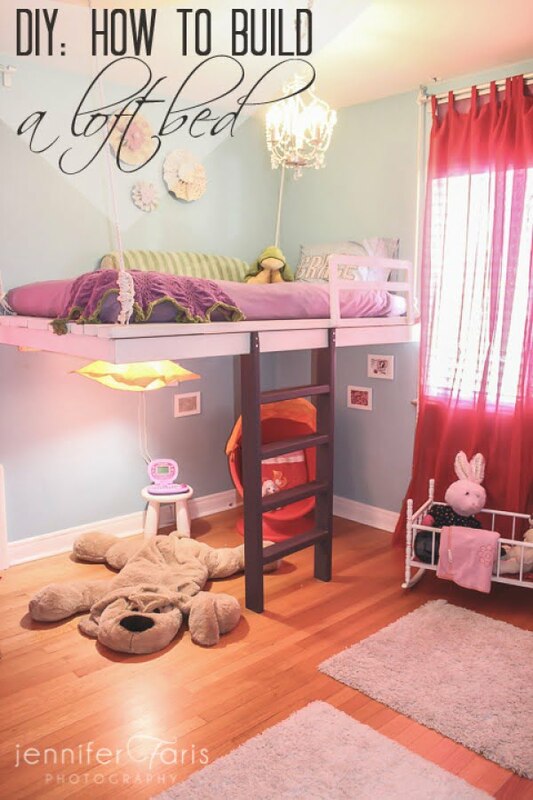 You can create a beautiful bedroom decor feature with a loft bed and solve all your space problems at the same time. By using vertical space of the room, you`re doubling the use of it. Here are the best and easiest DIY lof bed ideas (most of them come with plans too). 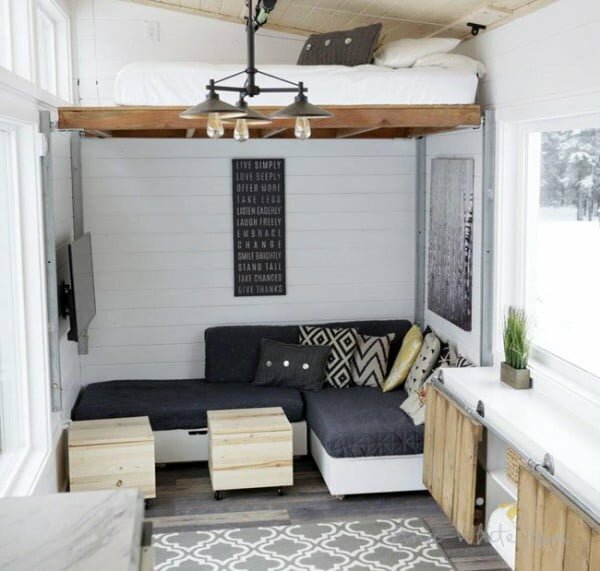 Learn how to build a DIY Sliding Barn Door Loft Bed. Easy-to-follow tutorial by Jen Woodhouse. This bed fits a Full-Size mattress. Follow the tutorial to get the entire plans. Follow these step-by-step instructions and create more floor space. 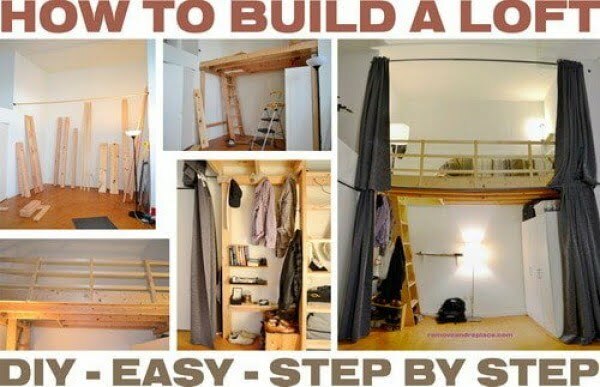 Build this how to build a loft bed the easy way. Read the article for the entire plans and instructions. Since most everyone sleeps, a bed is a necessary part of any habitation — but it sure does take up a lot of space. 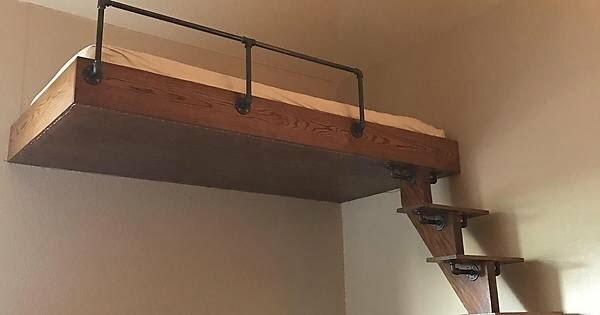 Build a loft bed for an easy project idea to solve this problem. Check out this website to find out how to do it. 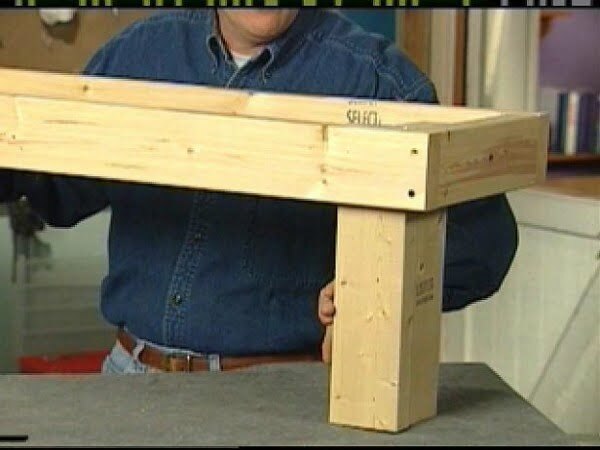 This is an excellent easy, step by step building guide as a simple craft project. Read the tutorial to find out how it’s done. This includes the materials, tools, and directions. 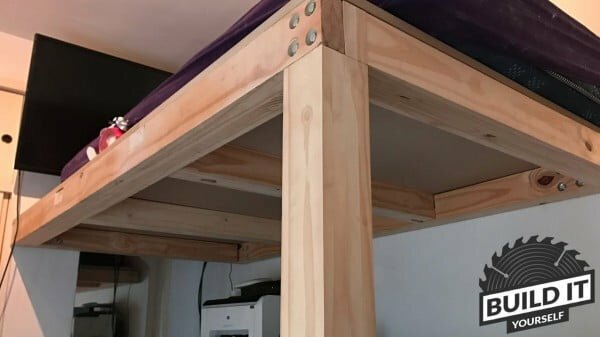 A wooden platform and two garage door lift systems make this height-adjustable sleeping space the coolest DIY loft bed we’ve ever seen. Follow the link to learn how to do it. 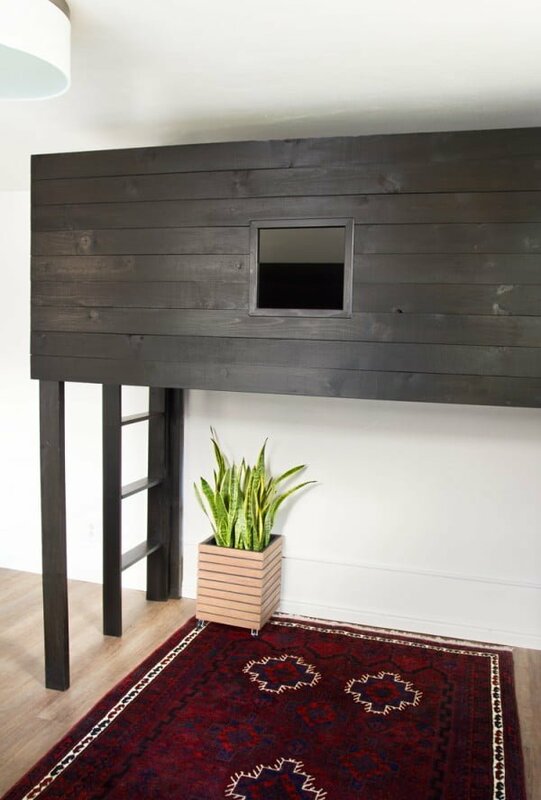 Check out how you can build this urban and modern loft bed in six steps. See the link for the complete guidance and instructions. 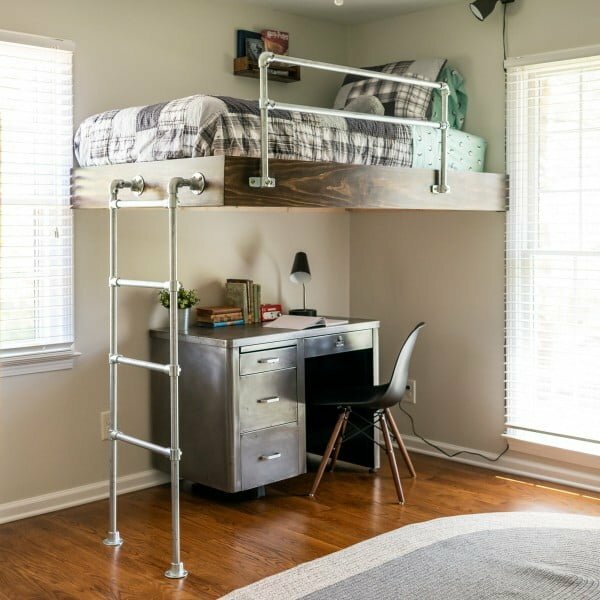 Take a look at Brad’s DIY Full-Size Loft Bed he built for his industrial-style condo and show you what you’ll need to create your own. See the tutorial to find out how to do it. 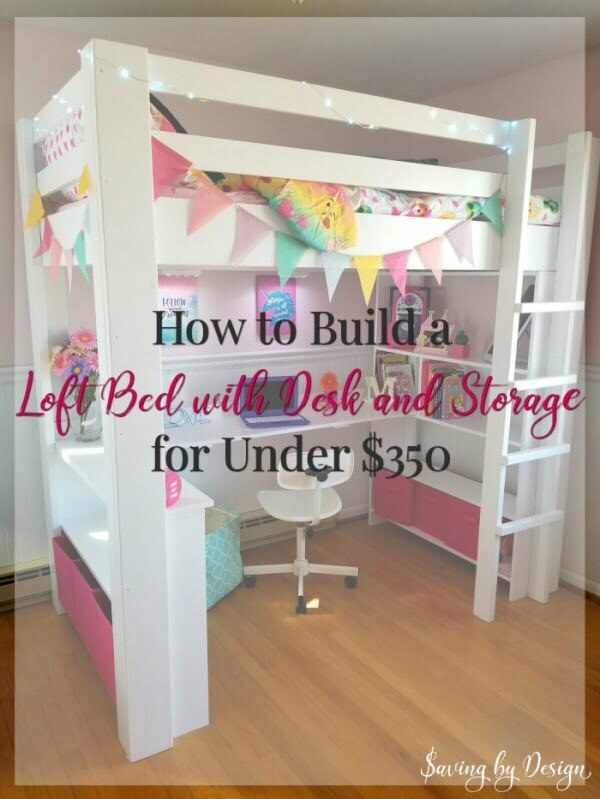 How to build a DIY loft bed with play table and Ikea Trofast storage – free plans and tutorial. Check out the link for the full guidance. 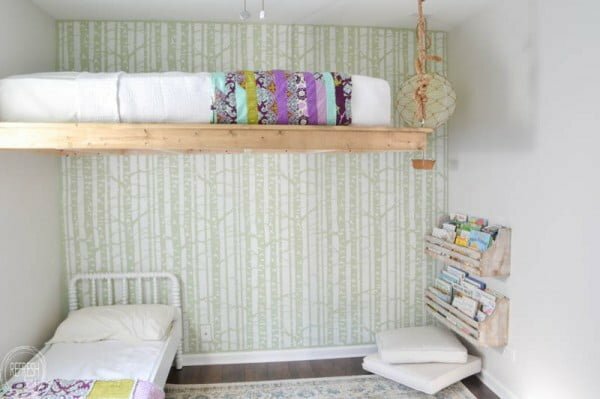 This is a fantastic space-saving DIY loft bed made the easy way. Check out this website to see how it’s done. 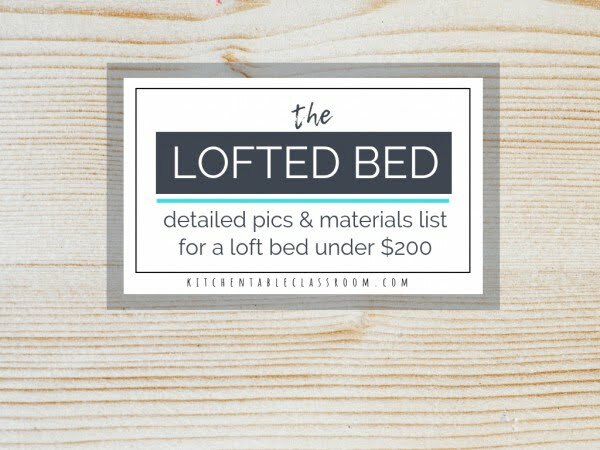 A simple 10 step tutorial for transforming your old crib into a new toddler loft bed for your little one. See the link to find out how to do it. 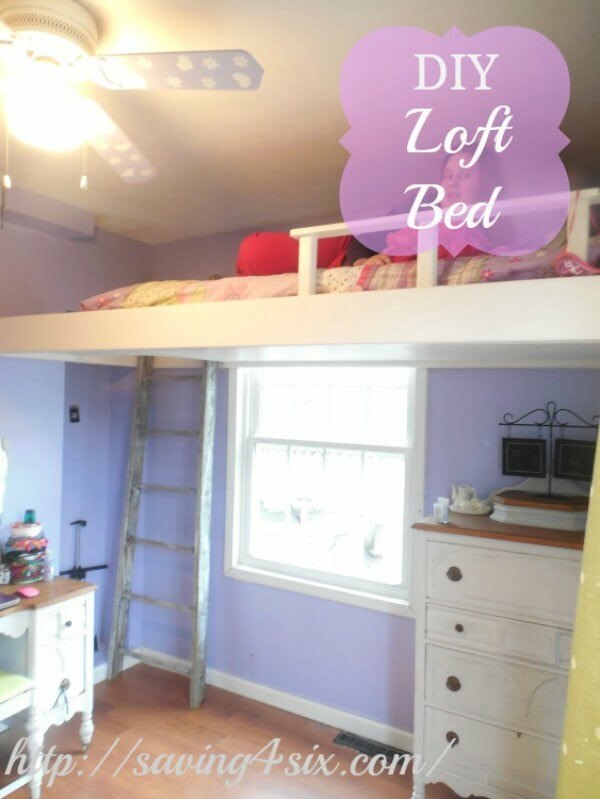 We built a loft bed in my daughter’s bedroom as part of her bedroom redesign. Here are how we did it and all of our DIY tips. Read the link to find out how to do it. A step by step how-to guide, from the posts, to the ladder, and even the fabric underneath. Read the article to see how it’s done. 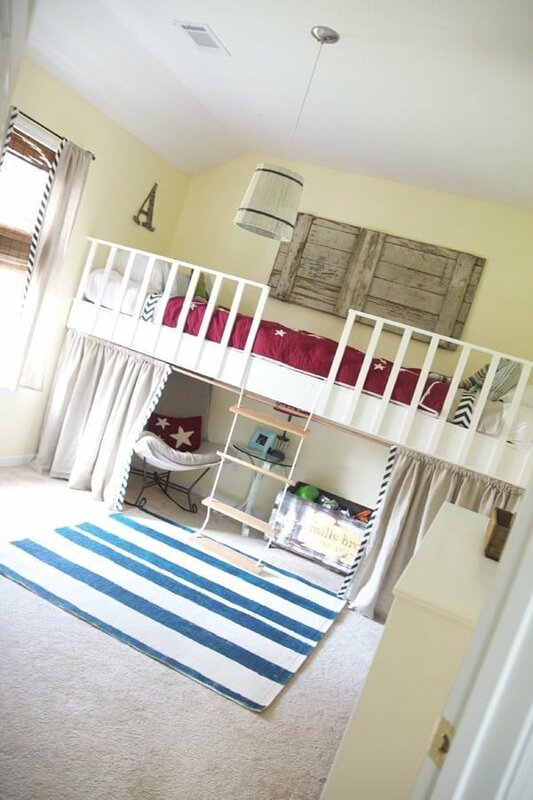 This lofted bed is made from untreated lumber that we painted and is sturdy & straightforward. The best part was he made it in two weekends and for well under $200. Check out the tutorial to learn how to do it. 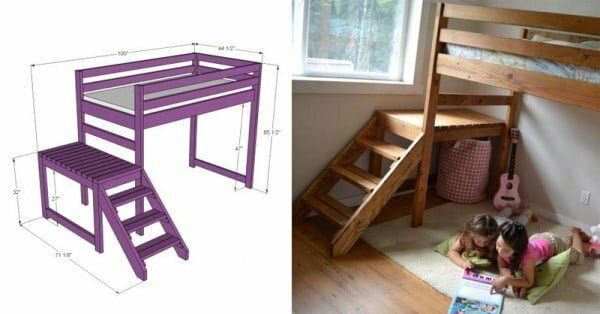 Build this loft bed on a budget. Follow the link for the full guidance and instructions. 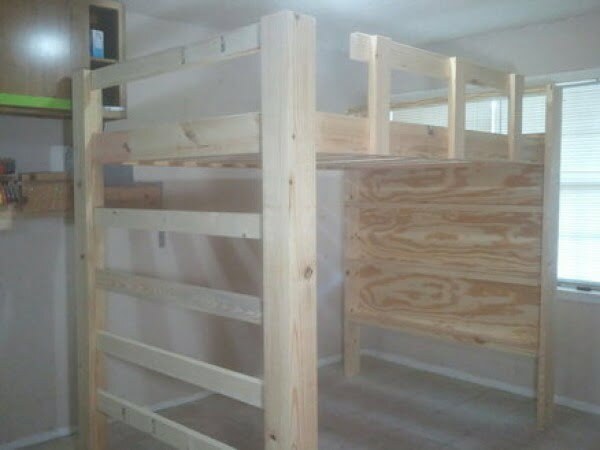 This is a beautiful camp loft bed built the easy way. Read the tutorial to learn how to do it. 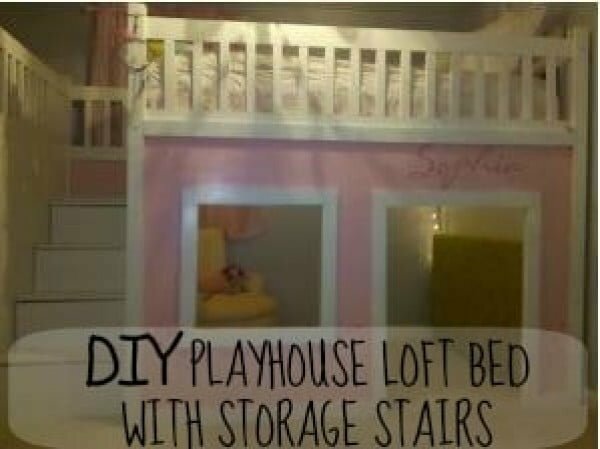 This is a beautiful idea on how to build a loft bed and win your daughters heart. Read the tutorial to learn how to do it. Building a loft can be the perfect solution to adding a bedroom when space is an issue. Having a high ceiling gives you the opportunity to develop and add a loft to your existing home. Read the tutorial to get the full guidance. 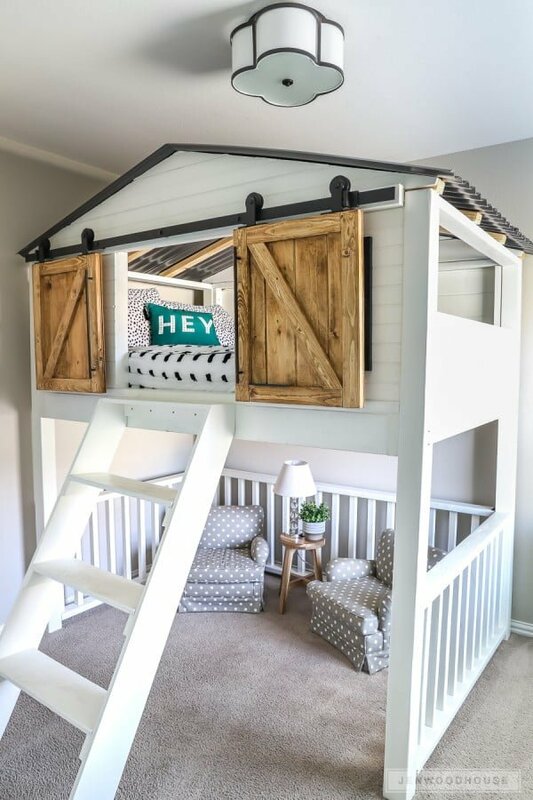 Build this excellent Playhouse Loft Bed with Storage Stairs. See the article for the complete details and instructions. 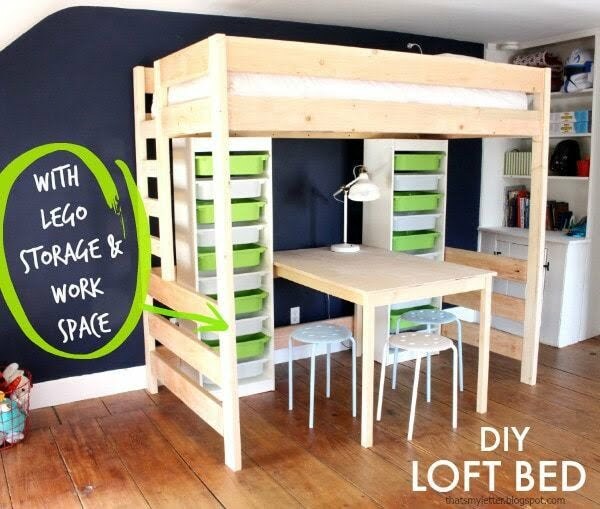 This is an awesome DIY loft bed with lego storage & workspace for a budget craft project. Check out the link to find out how it’s done. It’s a cool mix of rustic and industrial, with a wooden base, a chain suspension, and pipe railings. 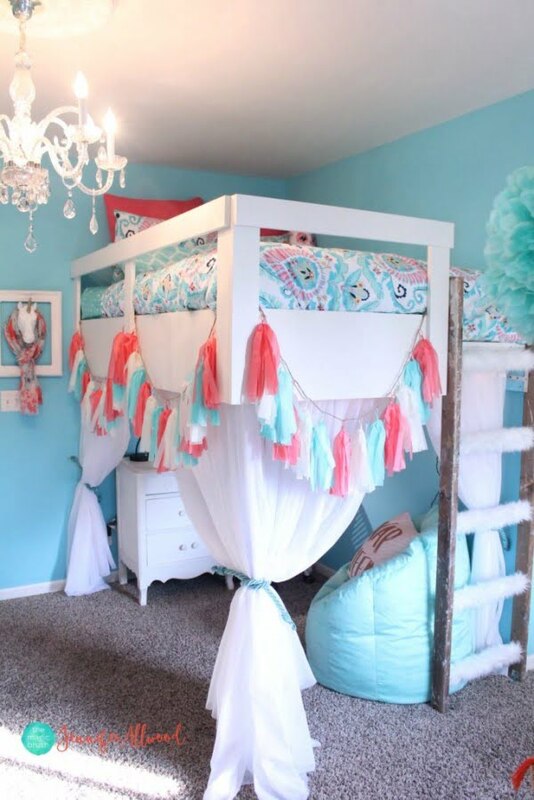 The extra space on the bottom makes it perfect for sleepovers! 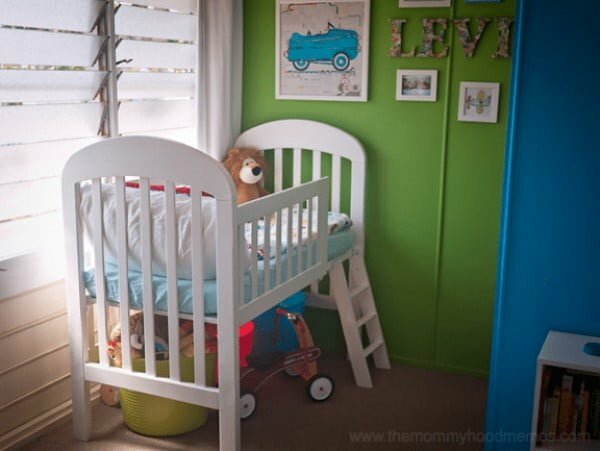 If you like the idea of a free-standing bed, so your child has so much more space in their room, you have to check out this article. 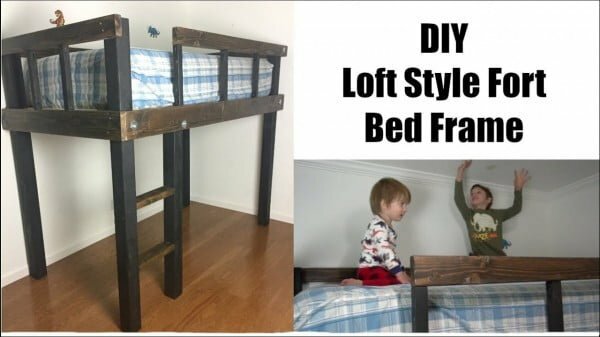 What a fantastic DIY loft bed with iron piping and oak built the easy way. See the link to learn how to do it. There is only so much you can do with your Twin XL. You can outfit it with the most beautiful comforter set and fluff it up with pillows, but that doesn’t help the fact that it sits low to the ground and takes up some valuable floor space. 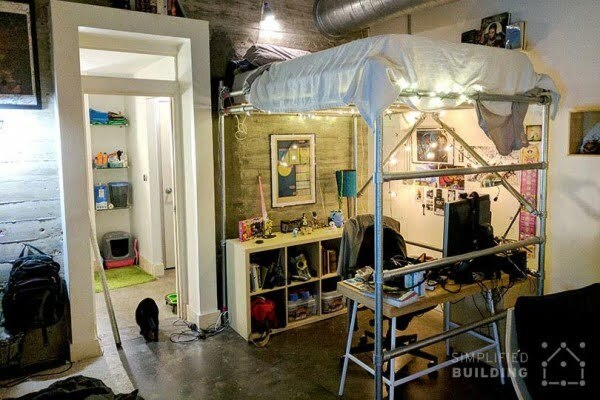 Move in and move up with the DIY Loft. Follow the article to get the full details and instructions. Bed-and-desk combos are great for students or anyone else short on space. 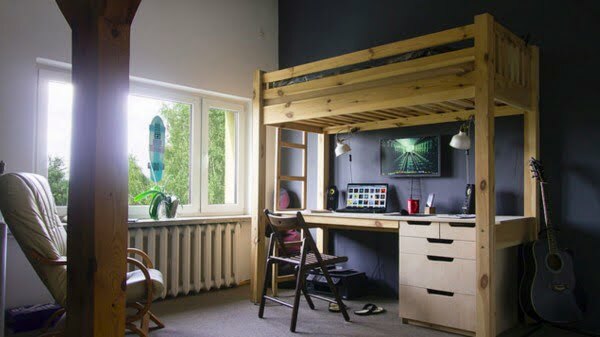 Today’s featured workspace is an impressive DIY project combining a spacious place to work and room to nap or turn in for the night. Check out this website to see the complete details and instructions. 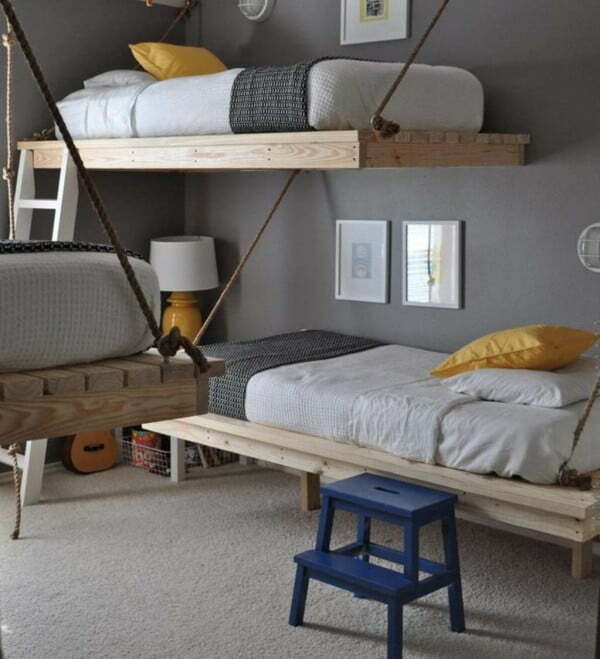 This is one method of building a loft bed by anchoring two of the sides to walls. This reduces the complexity of the project and makes for a bed that will support a lot of weight. Follow the article to get the full details and instructions. 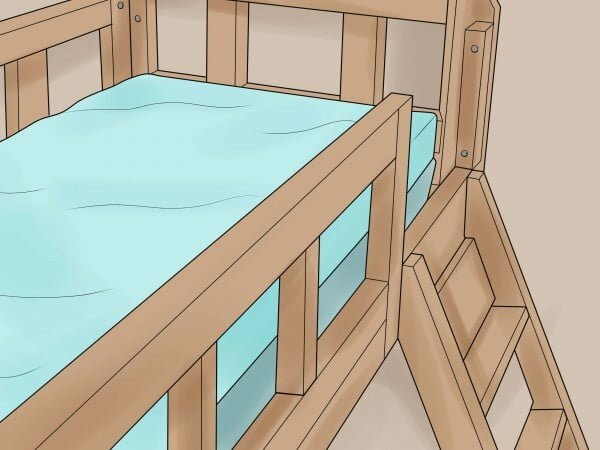 Here’s a step-by-step guide on how to build a loft bed and have it finished by the time you’re ready to fall asleep tonight. Check out the article to find out how to do it. Loft beds are perfect for small spaces, and they’re simple to build. Grab a friend, and get started with this handy guide. Follow this website to get the entire plans and instructions. This is for a full-size bed. Everything you need to build it as well as the SketchUp file for you to modify as required is here. See this website to get the full details and instructions. Build this excellent hanging loft bed the easy way. Check out the tutorial to learn how to do it. 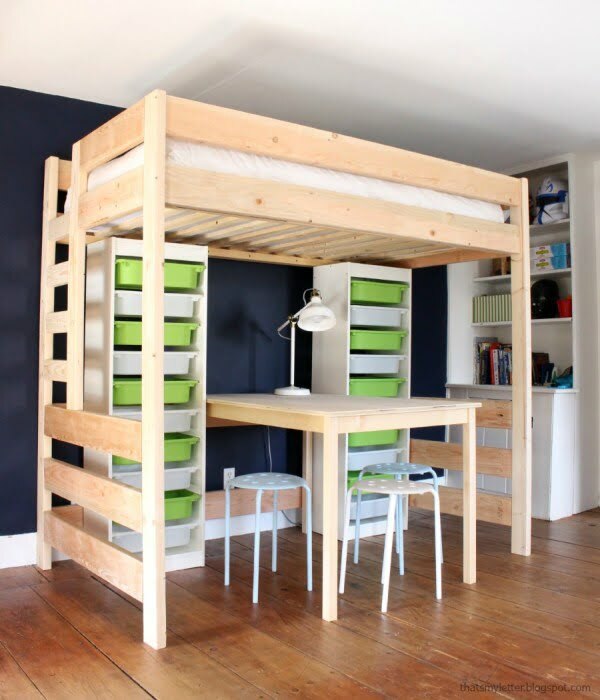 Check out this structurally sound and simple-to-build loft bed design. Follow this website to see how to do it. 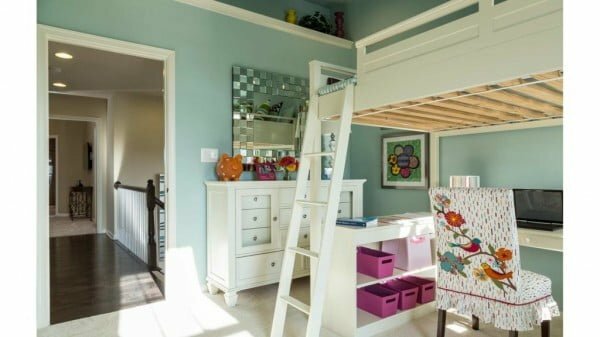 What makes bedtime, homework, and a tidy room more fun for a child than a fabulous DIY loft bed with desk and storage? 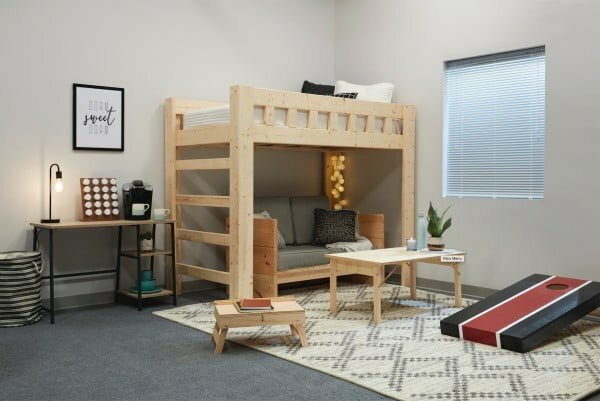 You’ll love the price (it’s under $350), function, and space-saving this twin loft bed offers whether it’s for your son, daughter, tween, teen, or even an adult. See the link for the full guidance. 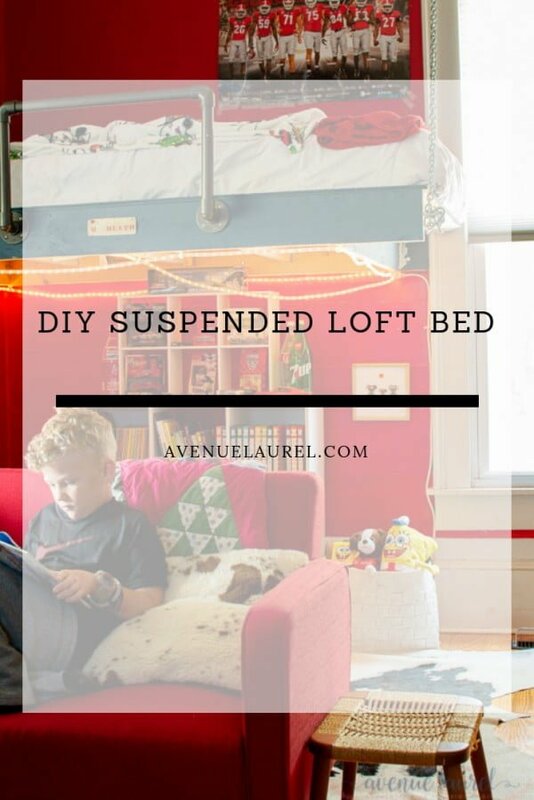 What a beautiful loft bed construction DIY for an easy project idea. See the video to get the complete details. 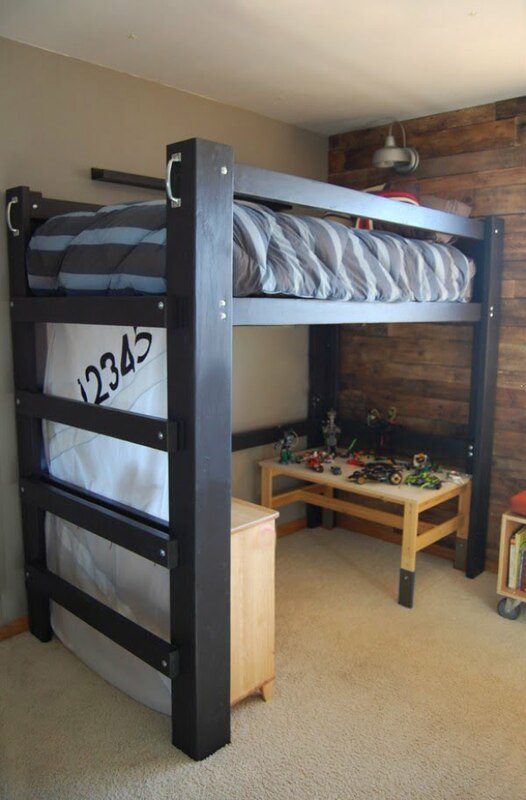 What a terrific loft fort bed frame as an easy project idea. Follow the video tutorial to find out how it’s done. 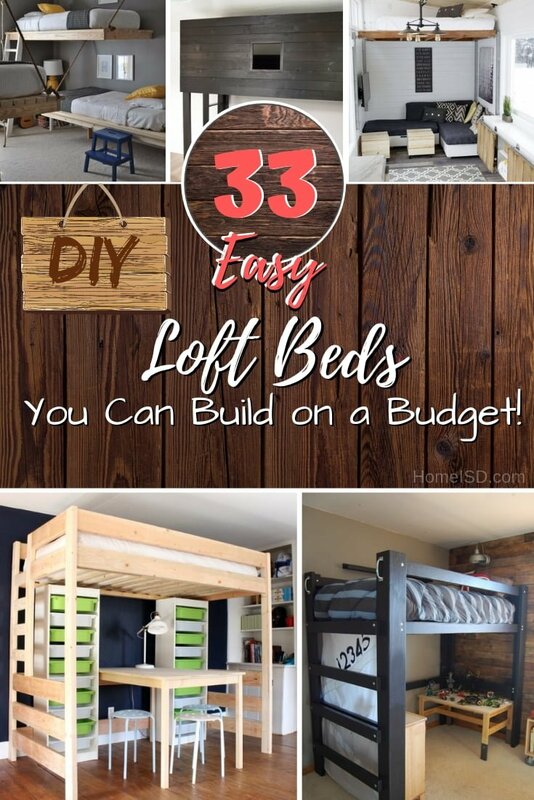 Create this amazing DIY loft bed the easy way. Check out the Youtube video to get the complete plans.